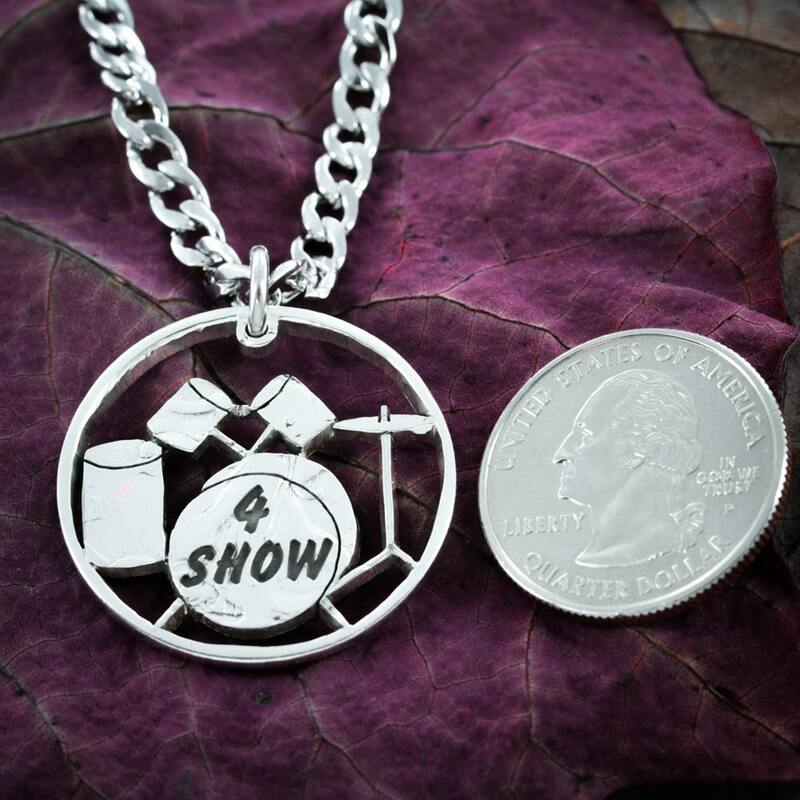 This is a full drum set design that has been cut by hand into a coin. We also will engrave into a name into the design. Just let us know what you would like in your order comments. 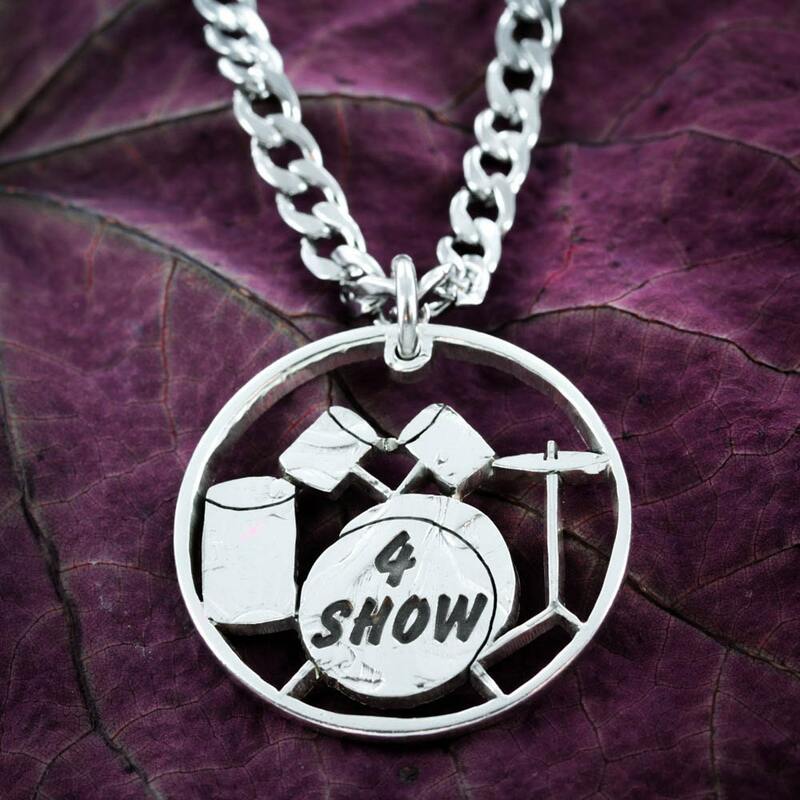 Musicians love out jewelry and it lasts forever. 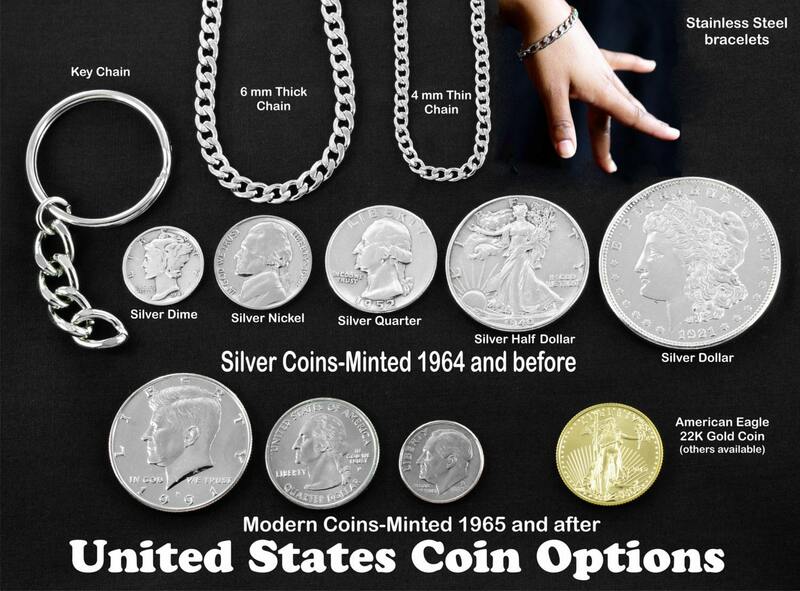 The necklace pictured is made from a silver half dollar. 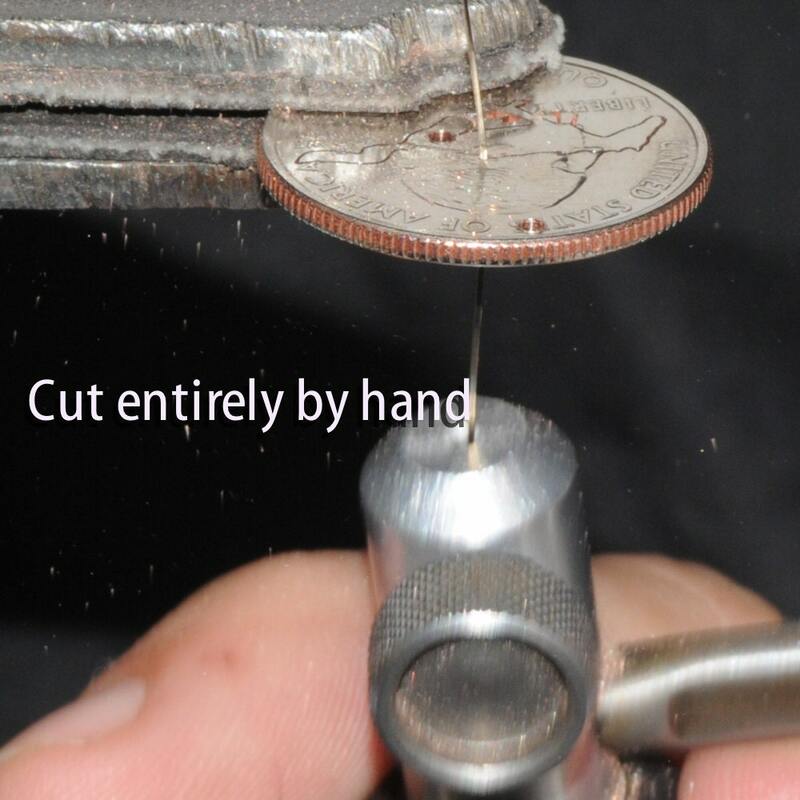 We can cut it from a lot of coins. Just decide what size you would like and whether you want it made of silver or not.